Sport Court Dance™ is an economical, easy to install and remove, portable dance floor that can be used over a variety of sub-surfaces, such as carpet, wood, concrete, PortaFloor brand portable flooring and more. Appealing design patterns will make all the difference creating a whole new look for your special events.Create a parquet design in oak or teak, black and white checkerboards, or any number of other designs into an attractive and functional pattern. Sport Court Dance™ is an economical, easy to install and remove, portable dance floor that can be used over a variety of sub-surfaces, such as carpet, wood, concrete, PortaFloor Brand portable flooring and more. With over 2 million square feet of dance flooring manufactured and sold under private label, Sport Court is leading the way in dance floor surfacing. 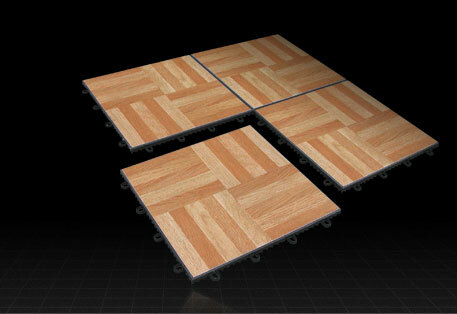 Our most popular dance design, Oak delivers a classic ballroom look. This flooring is also used for office flooring,basement,den or areas where dampness is a problem. These tiles have a built in sub floor that allows water to move beneath or evaporate. 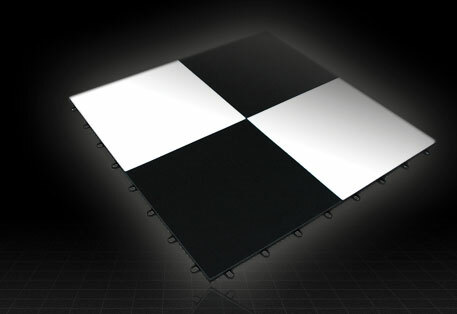 With our brilliant white and slate black tiles, you can create a checkerboard pattern with individual tiles or blocks, or create large blocks of one color with a contrasting border. © Copyright RealWeb Enterprises Ltd.all rights reserved.